Category: Data Systems. Tags: aim sportline, Mychron Expansion Bar. 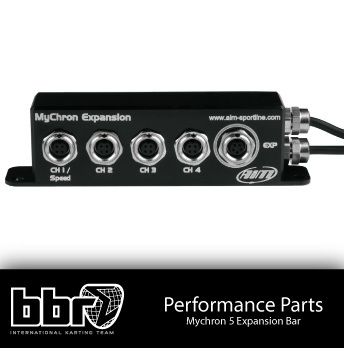 MyChron Expansion channel multiplier improves MyChron5 and also MyChron4 performance, thanks to four additional channels and a further CAN bus connector. 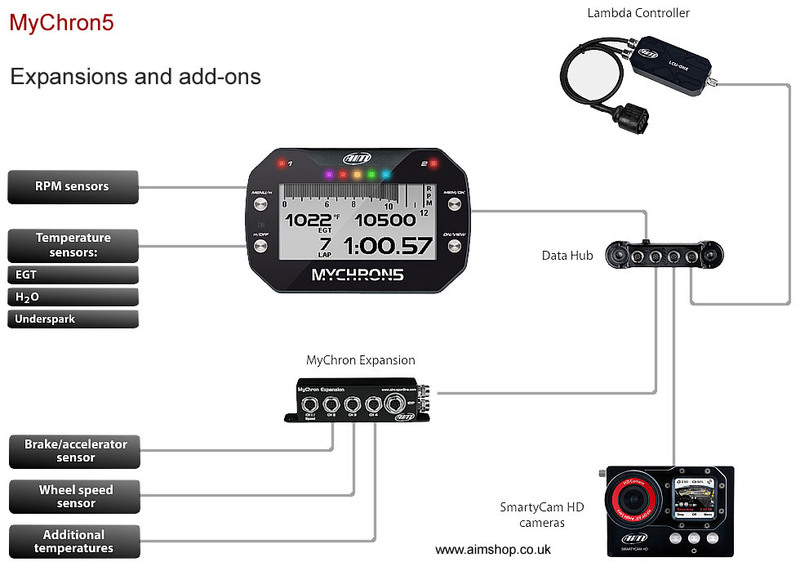 Through this last connector the systems can be connected to LCU-One Lambda controller and SmartyCam HD (and to GPS and Data key for MyChron4 systems). 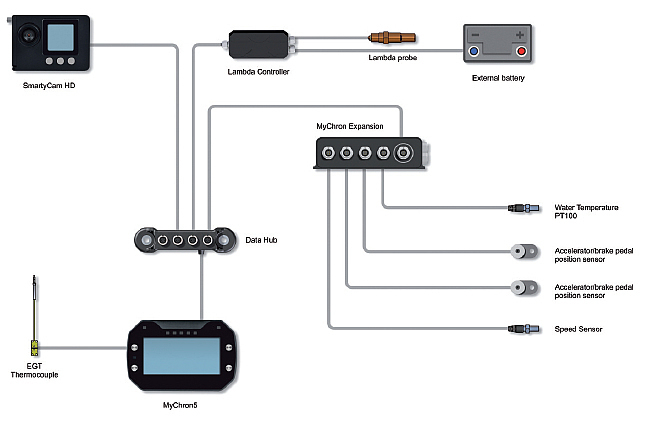 Thanks to its specific wirings, MyChron Expansion powers the systems and their peripherals with an external battery, avoiding internal battery consumption.